These Items are all ready to ship today. One size fits all. Can be bent by hand to open or close. 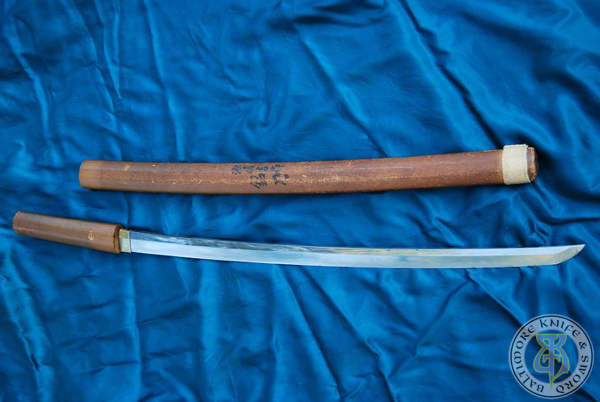 An original papered katana. 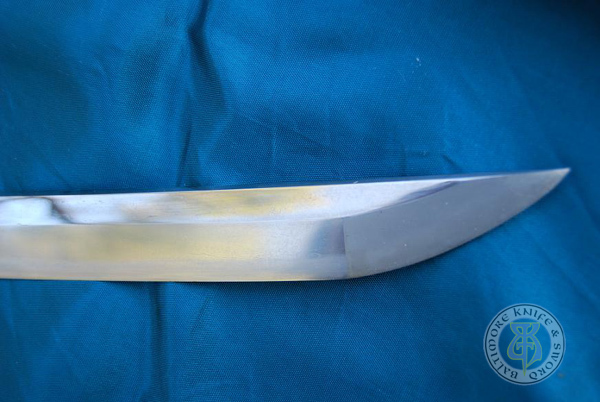 This is a large blade in great polish. 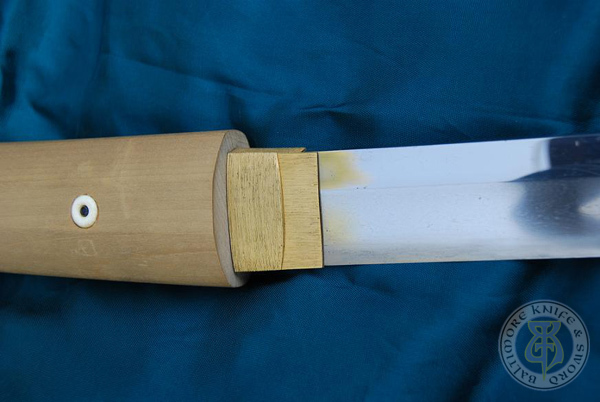 The photos do not show how large this blade is or the nice hamon. 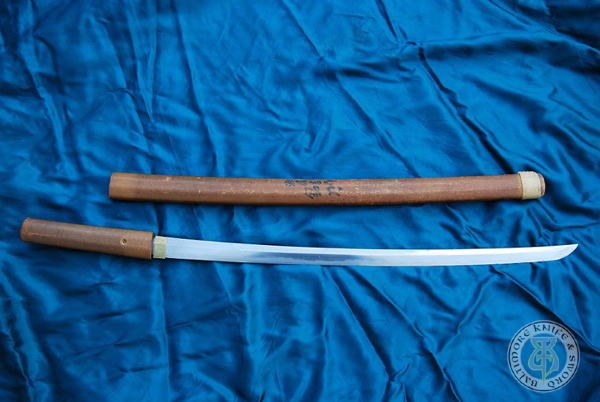 A 279 layer yataghan with 19.5" of blade. Buyer can choose mounts. 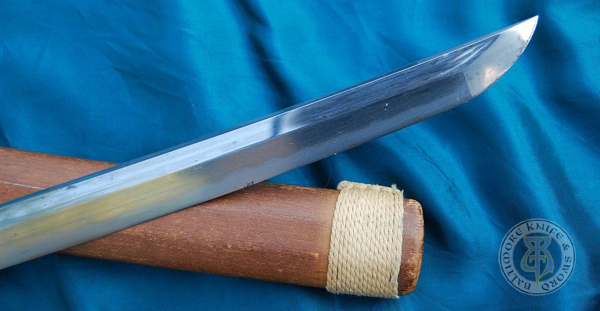 A Wrought Iron/1075/15N20 single edged hunt sword with a wrought iron guard. Buyer can choose handle. 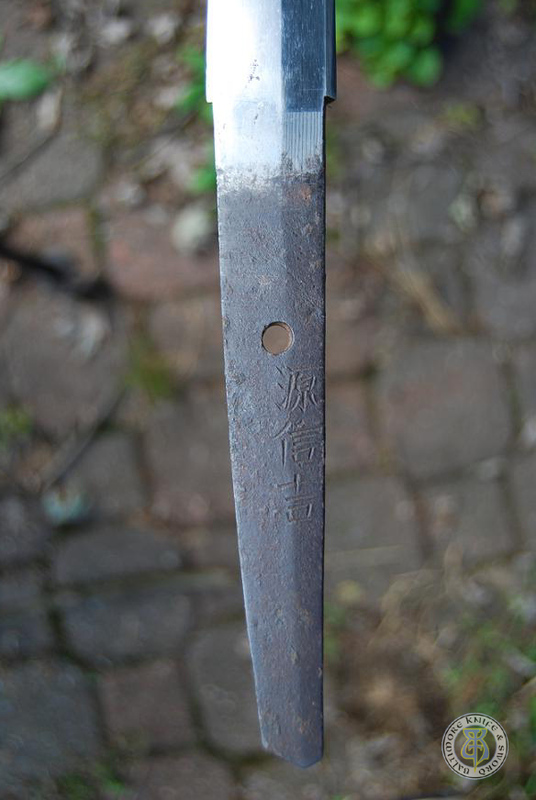 Chainsaw Damascus long curved sword blade. Buyer can choose mounts. 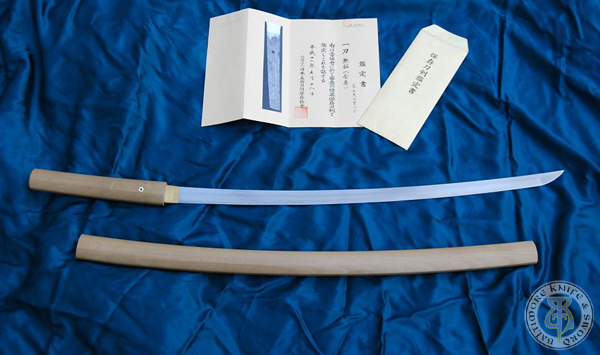 Please email us to purchase these blades. 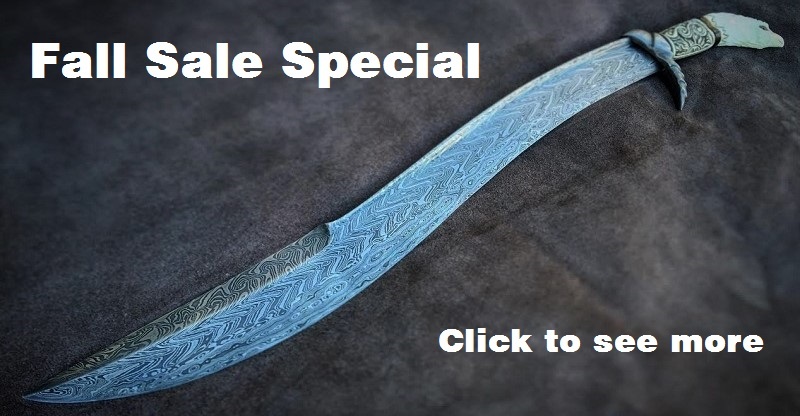 Buyer can purchase the bare blades or have us mount them as desired. Please email us to order any of these products. We except paypal and most major credit cards.